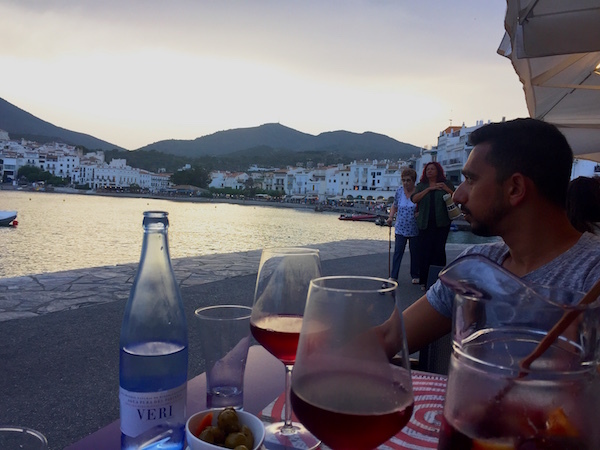 Cadaques is a tiny little coastal town tucked between mountains that is only a 2 hour drive up north from Barcelona. 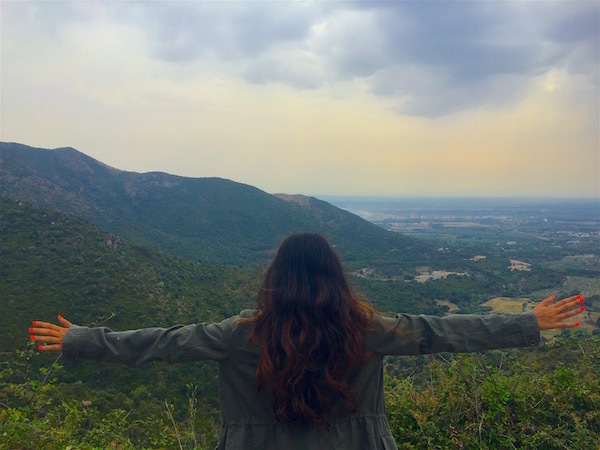 It lies about 30 kilometres from the border of France along the Costa Brava (roughly meaning rugged coast, which refers to the mountainous & wild terrain of this region) that stretches for roughly 300 km from Barcelona to France. For a place that’s so close to such a major global tourist destination, it feels cozy, quaint and just perfect. 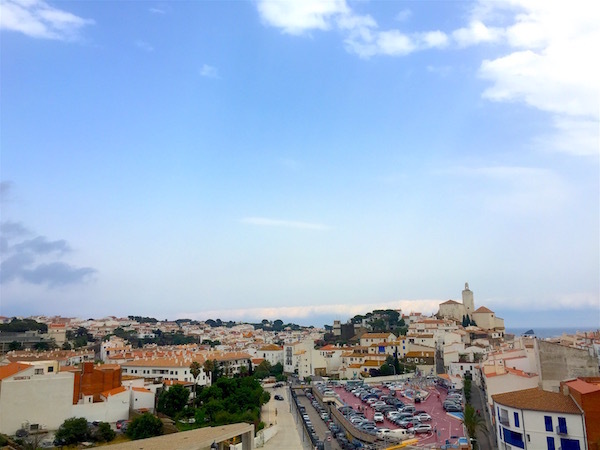 Most of the people here are local Spanish tourists, and since it’s so small it doesn’t attract as many throngs of people as nearby beach towns which are super developed & commercial. 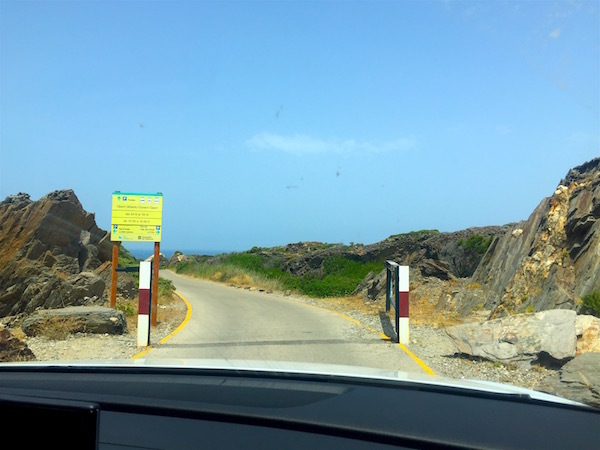 Entering the Cadaques & Figuures area. 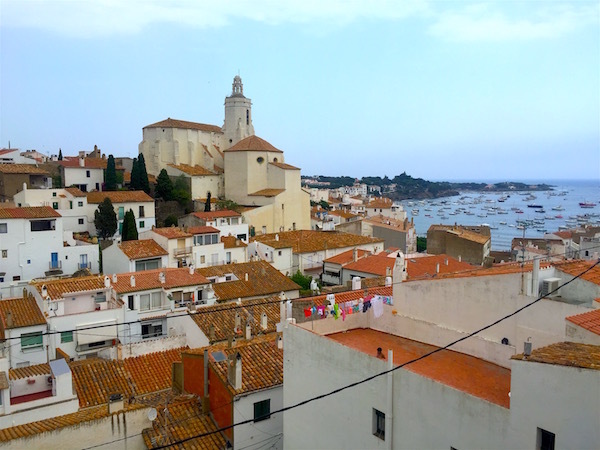 This magical little all white fishing village was once home to the one & only Salvador Dali, who was born in nearby Figueres, but came here to find inspiration. It is said that he was so entranced by the terrain of this part of the world he would escape into the wilderness every summer, walking around the rugged landscape for days, brain ticking with ideas for his surrealist art. 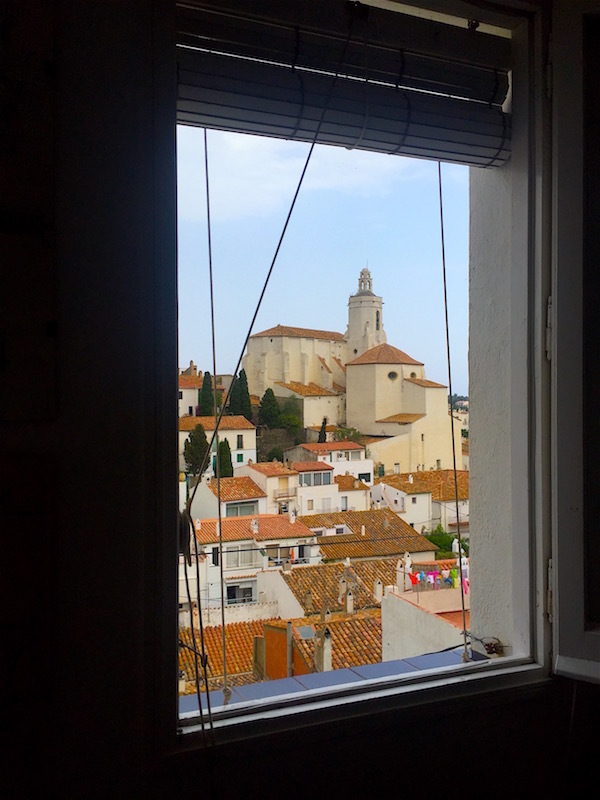 Some of his earliest works were directly influenced by Cadaques & the neighbouring Cap de Creus National Park, and we thought if it’s good enough for Dali, it’s good enough for us. Although there are a couple of Dali museums in this town, we heard they were tourist traps and didn’t end up visiting. 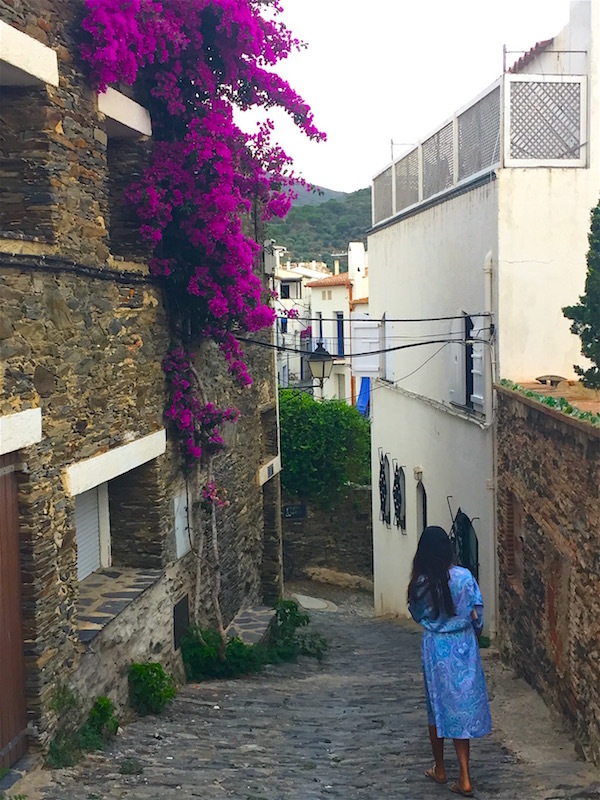 Exploring the tiny, cobbled alleyways, fabulous wine bars, restaurants, gorgeous mountain drives, and Cap de Creus National Park was enough for us in the 3 days we spent here. 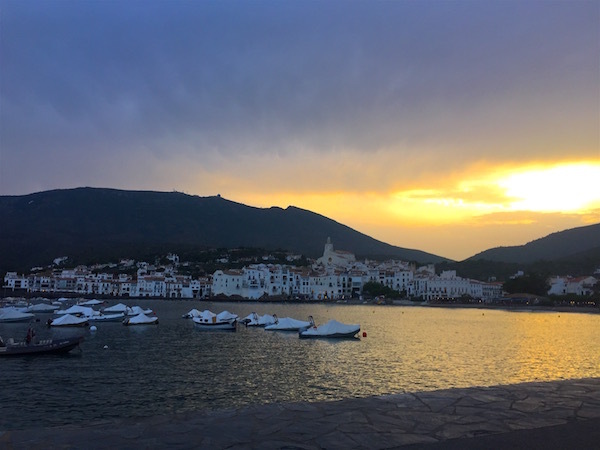 Cadaques enchants you immediately, all the houses are typical white structures with orange tiled roofs, doorways in every colour imaginable overflowing with lush bougainvillea, and impossibly tiny cobbled streets that are easily a couple of hundred years old. 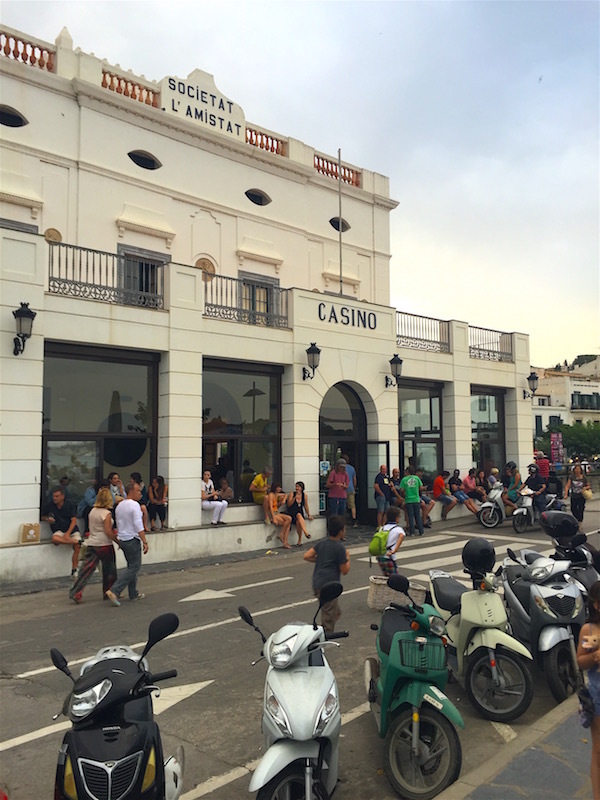 Not much seems to have changed in this village, cars are only allowed on the outskirts, most of the restaurants & wine bars have been in families for generations, and the pace of the people is unhurried. 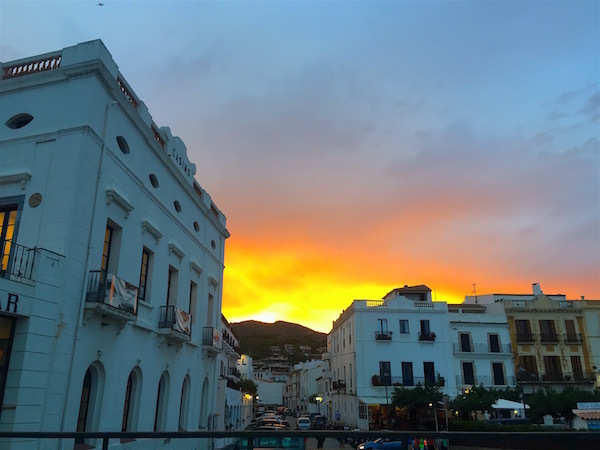 Time seems to tick differently here as you get lulled into a trance cast by the gently bobbing boats in the port, the sounds of happy families & children playing, that balmy ocean breeze, and the soft orange glow this town emits at night. 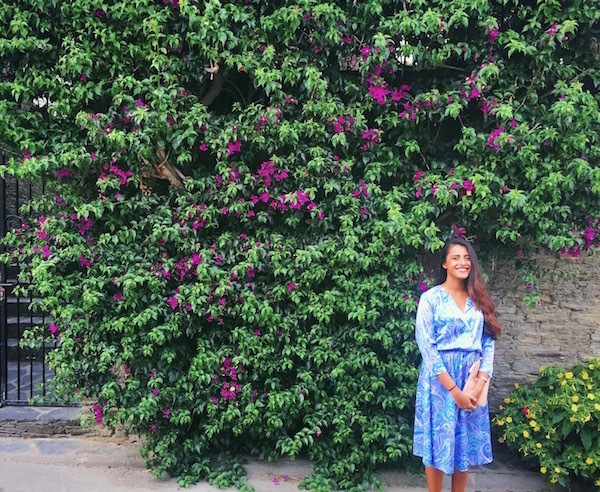 Its no wonder that Dali spent every summer here for over 30 years. Walking to dinner & drinks. 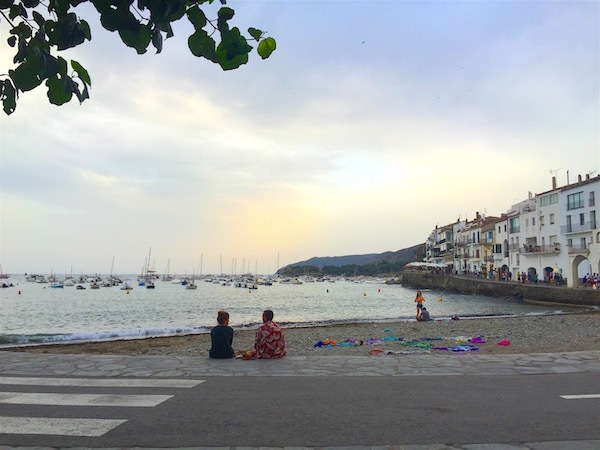 If you’re looking for the clearest blue waters & small hidden coves, then you need to make your way to Cadaques. 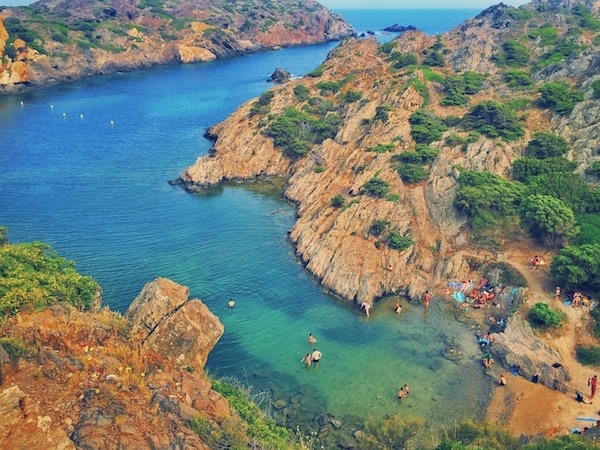 The main beach is alright, but a 15 minute drive gets you to Cap de Creus Nation Park, which is a protected area perfect for some insane hiking, mountain biking, cliff jumping and secluded beaches, where if you’re lucky, you’ll be the only people. All the beaches need to be accessed by foot, so you’ll have to park nearby, grab all your supplies for the day and trek down the steep, rocky landscape in order to reach them. 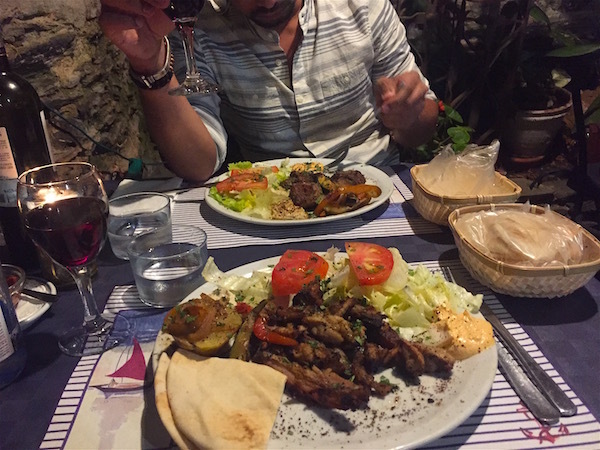 There are no restaurants or amenities available, so carry your essentials- an umbrella, a beach sheet, plenty of snacks & drinks and comfy shoes for walking (we made the mistake of wearing flip-flops on day 1 and it was nearly impossible to hike up & down the slippery, rocky paths). The strange, surreal landscape & lack of people will often make you feel like the only ones in some strange, new world. The trick to finding your way to the beaches here is to open up google maps and see where the trekking paths meet the street. The trekking paths on google maps are marked with a light grey dashed line, and you need to find one of these if you have any chance of reaching the sea down below. It’s impossible to hike down without the use of a trail as the the mountainous region mostly consists of cliffs. I would also highly recommend buying a pair of water shoes that you can wear when you get into the sea as its super rocky and painful otherwise. The good thing about rocky beaches is the clarity of the water, since there is no sand to make the water murky. 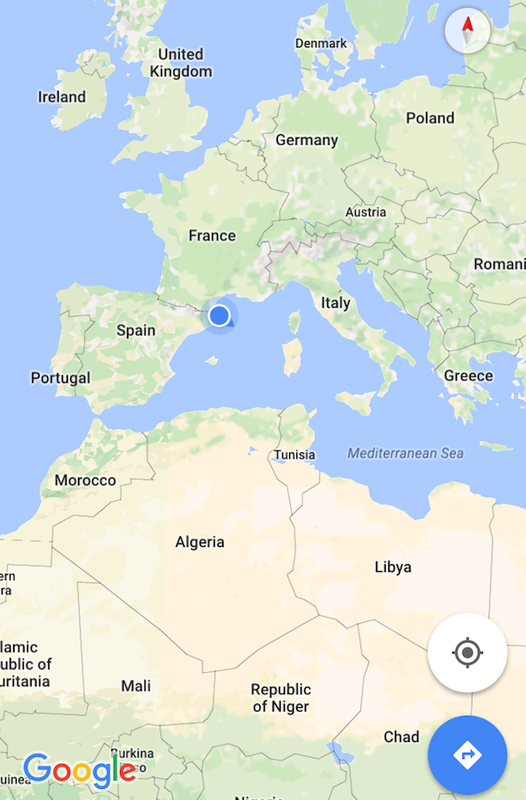 I also highly recommend carrying a snorkel mask so you can see just how blue and clear the Mediterranean here really is. 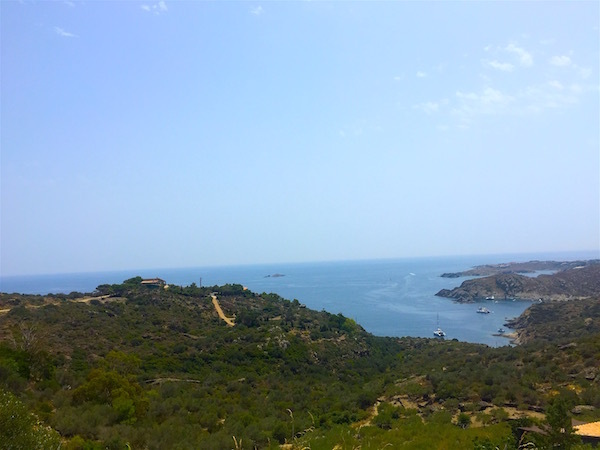 There is a lighthouse up at the end of Cap de Creus, and it provides unparalleled panoramic views of the coast, and the most magical sunsets known to man. 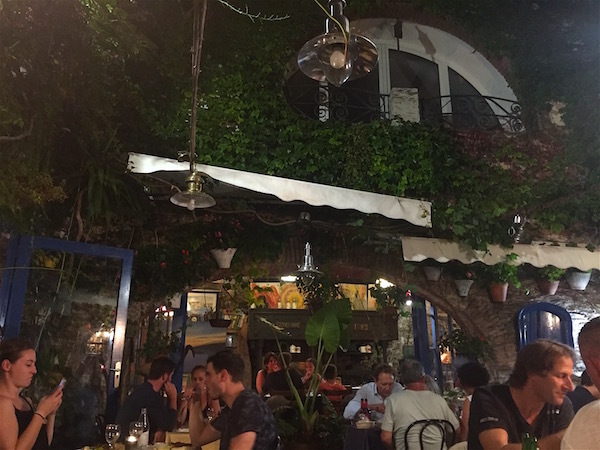 There’s a small restaurant serving food and drinks up there, and its a good way to introduce yourself to the area and spot some beaches down below that you would like to go to. 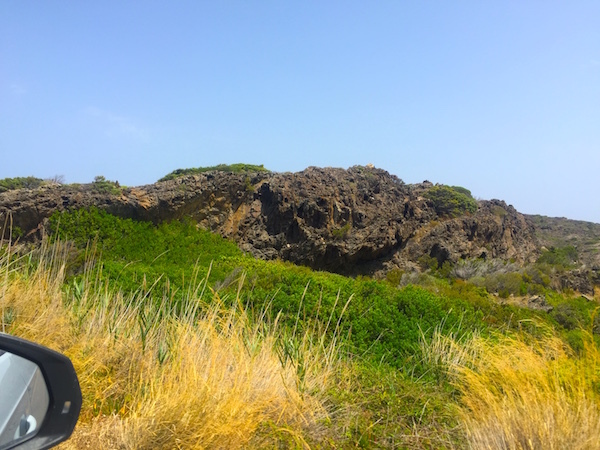 The terrain here is almost alien- jagged rocks & formations peppered with bright green shrubbery, next to a shining, sapphire blue Mediterranean. The sea tends to be very calm since most of the beaches are in a cove shape, unless of course its a windy or overcast day. I truly fell in love with this village, and will be sure to return sometime to explore further. 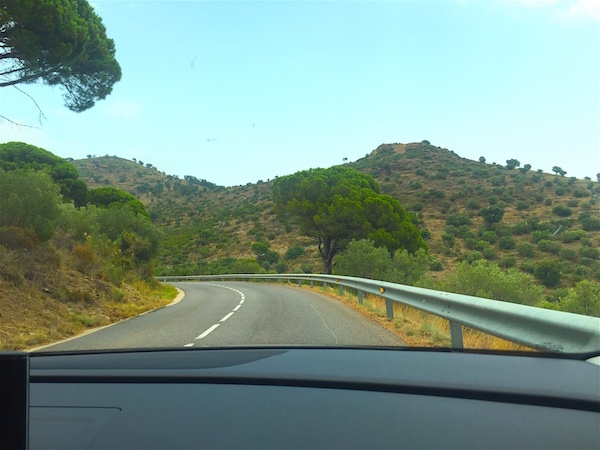 Since most people who travel to Spain end up going to Barcelona, I’d highly recommend driving a couple of hours to this region for it’s untouched, raw beauty. 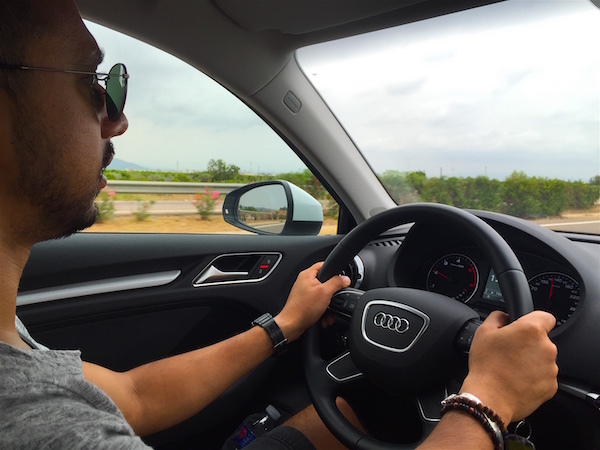 Drive up to Cap de Creus for your nature fix. Trek down to secluded cove for the day. Dine at Enoteca for their fabulous daily specials & tapas with French influences. Watch sunset from the lighthouse. Get lost in the cobbles alleyways of this walking town (cars are only allowed on very few streets). 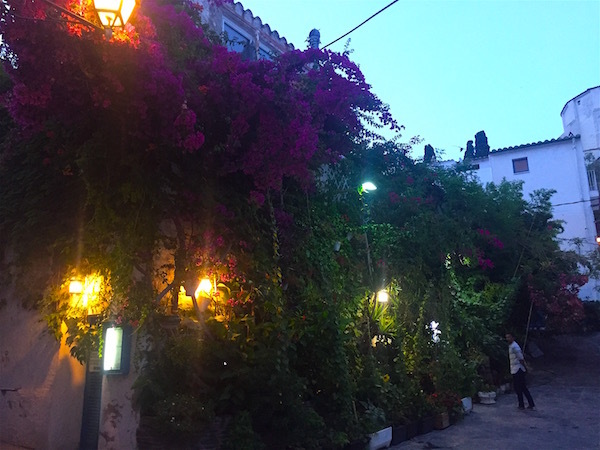 Take a night walk to soak in the magical light of this village. Go play with the cats at the Cat Sanctuary near the old church. Have drinks by the port to enjoy the views & the sounds of the waves. 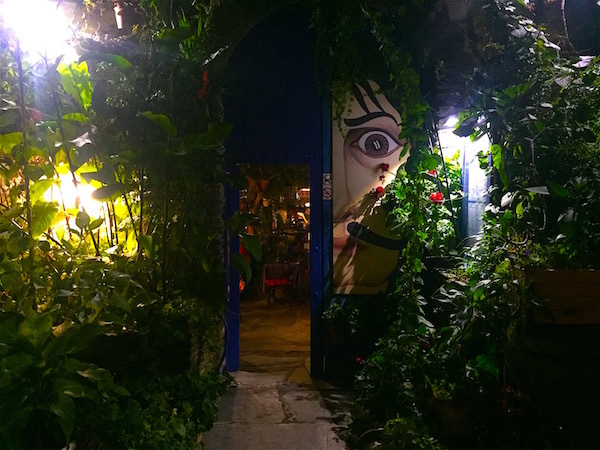 Grab some Lebanese at the gorgeous El Barroco, the restaurant where Dali hung out with his friends everyday. If you have time, try to rent a boat for the day. 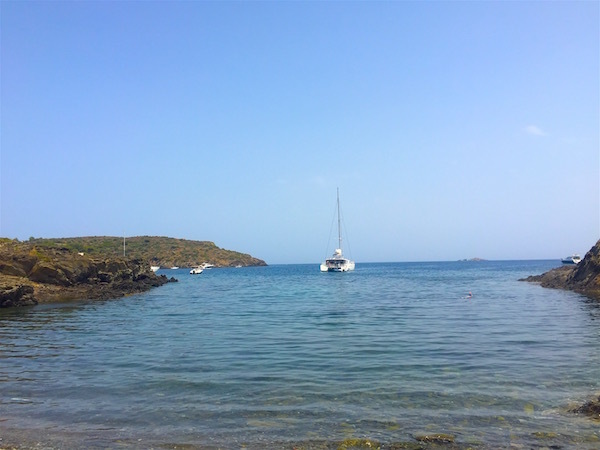 This allows you to freely explore the coast and all its hidden coves, beaches and calas. 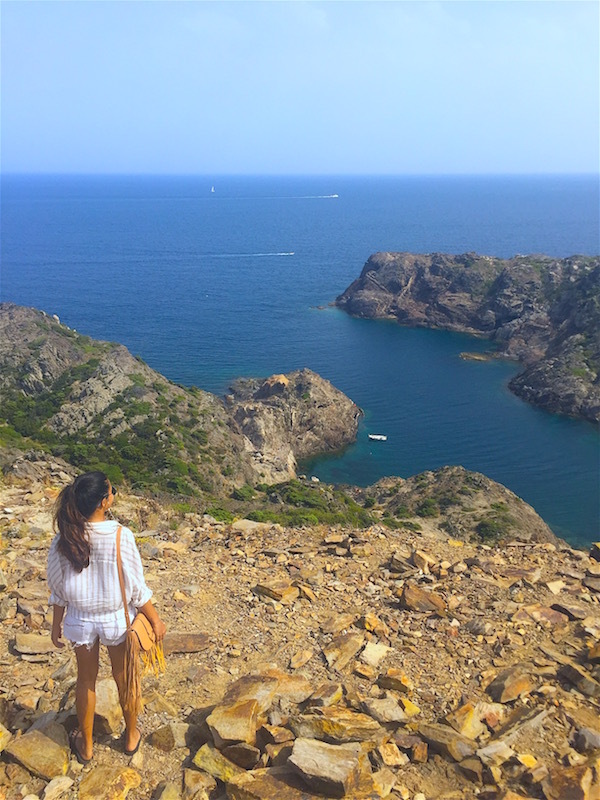 This is the single best way to explore Cap de Creus. Early next morning ready for beach time. 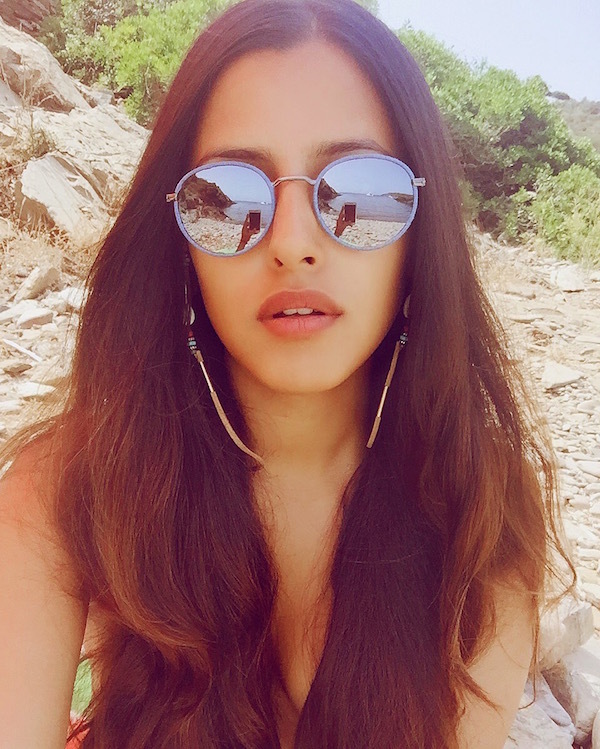 Sunny days are made for selfies. 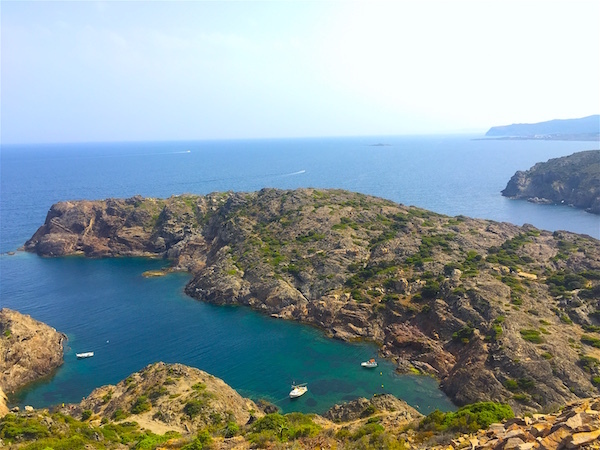 From the Cap de Creus lighthouse. That water! I could die and go to heaven here. 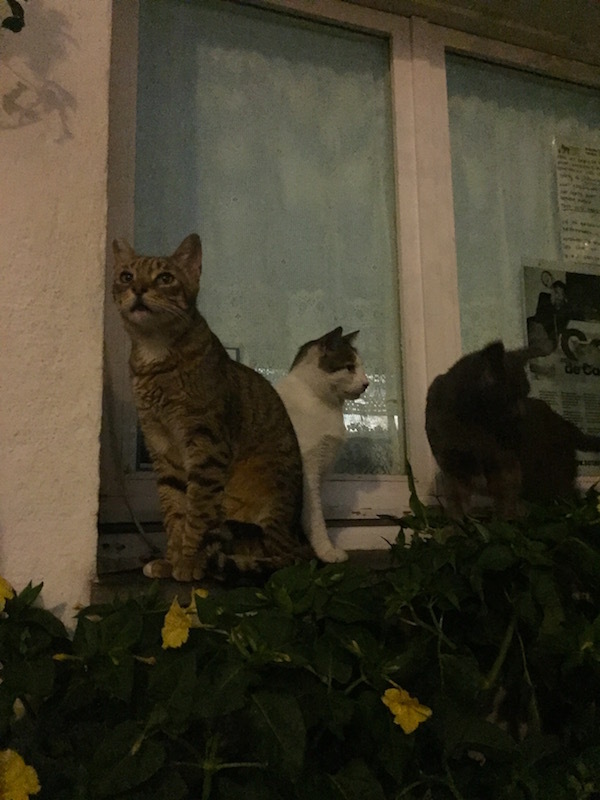 Cats of Cadaques. Of course I find cats wherever I go!